Maya Rappaport got her start as a naturalist and wildlife biologist early in life on the rocky Atlantic coastlines and in the lush, regenerating forests of New England. 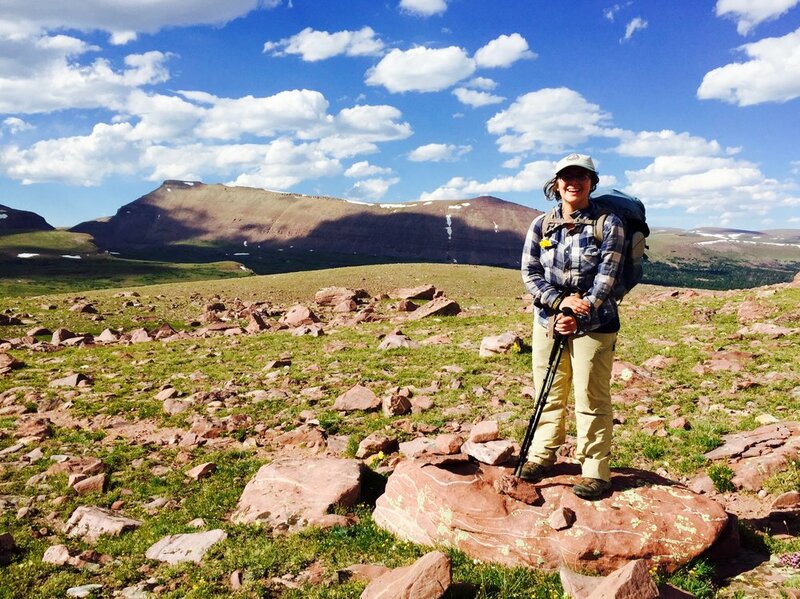 A love of the outdoors motivates her to work for the protection of species and habitats. She focuses on birds, plants, fungi, and freshwater systems, and is interested in the intersections between these systems and human systems. She draws inspiration from the beauty and diversity of the natural world in her creative work as a writer, artist, and musician. She has worked as a bird biologist in New Hampshire, Maine, Colorado, Utah, Montana, and now Arizona. Currently she is pursing an M.A. of Sustainable Communities and a Graduate Certificate in Science Communication at Northern Arizona University. She graduated from College of the Atlantic in January 2016, where she focused in wildlife biology, ecology, and natural history illustration. The Northern Arizona Kestrel Project Partnership (official name TBD) strives to connect people to nature through the construction, installation, and monitoring of nest boxes for American Kestrels. Our country's smallest raptor, the American Kestrel is a tiny, colorful, swift and powerful predator common in grasslands and wide-open expanses across North America. Kestrels feed primarily on large insects and small rodents and reptiles, and rely on exceptional eyesight to hunt. In recent years, their population has sharply declined, due to a combination of habitat loss, agricultural pesticide use and a decline of food resources, and other factors. By building, installing, and monitoring nest boxes, we can contribute important observational data to a larger national dataset, while increasing the availability of nesting sites for the birds. Observing the birds using our boxes and watching them fly free in the field provides a beautiful window through which we can make connections with the wild world. We will be building the boxes and selecting locations during Spring 2019, installing the boxes in Fall 2019, and monitoring the boxes for baby kestrels in Spring and Summer 2020.